Introducing Unicorn latin and cyrillic font. Perfect for posters, ads, prints etc. For personal use. 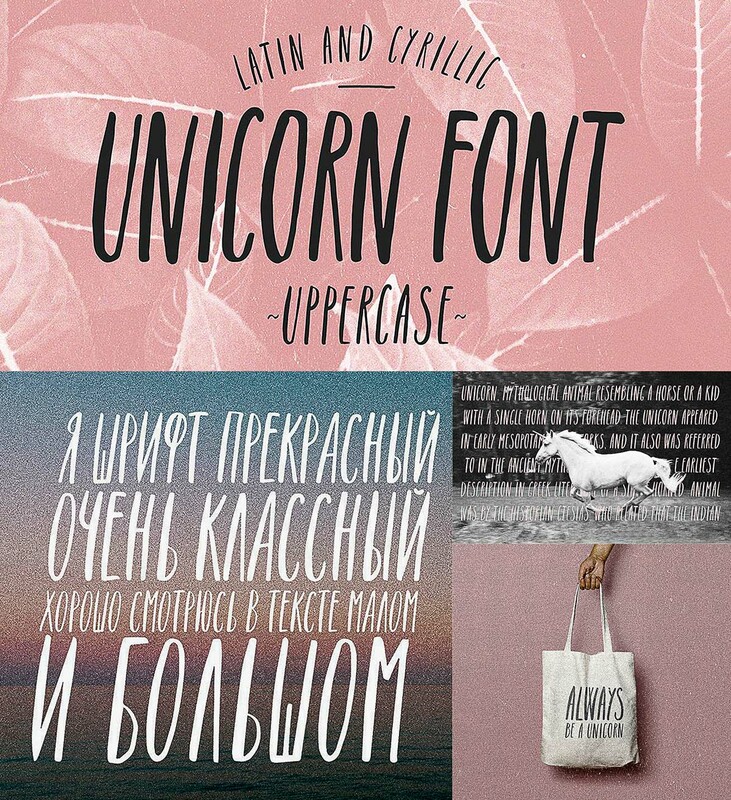 Tags: brush font, cyrillic font, latin, lettering, uppercase.